Give the gift of a wonderfully delicious morning this Mother's Day. 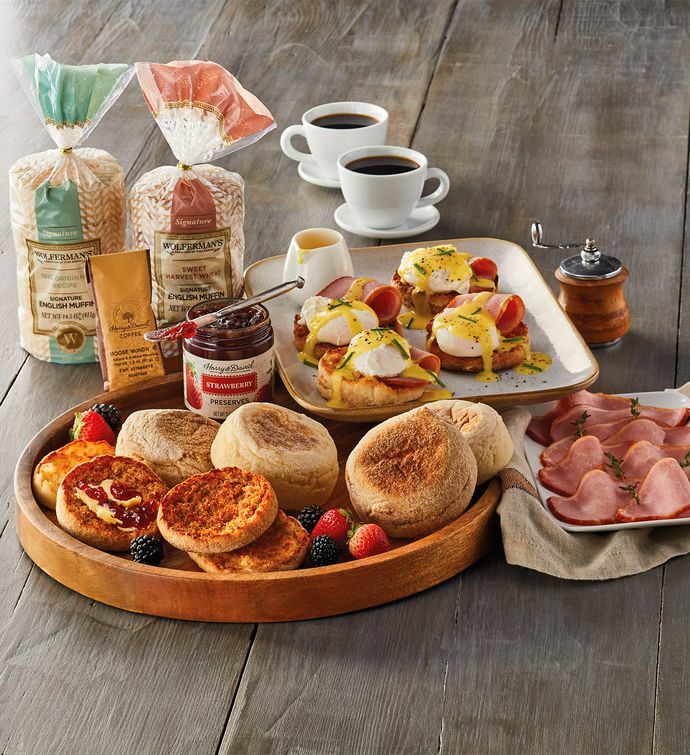 A complete breakfast in one box, Mom can start the day with a delicious cup of Moose Munch® Coffee and enjoy freshly made eggs Benedict—complete with two kinds of Wolferman's® English muffins, hollandaise, Canadian bacon, and strawberry preserves. All that's needed is the eggs.